Rocky Rex's Science Stuff: Climate Change - Is the Sun causing Global Warming? Or about to cause Global Cooling? 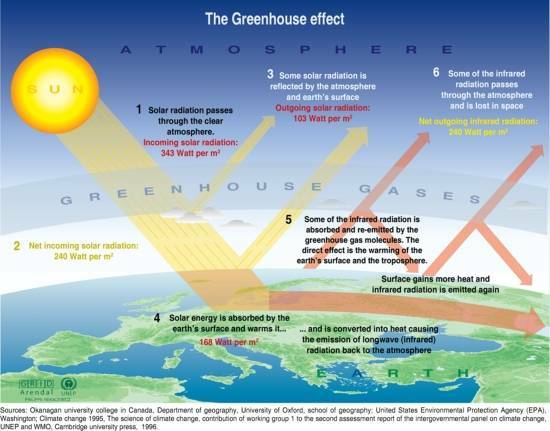 Climate Change - Is the Sun causing Global Warming? Or about to cause Global Cooling? It is often claimed that the Sun is causing global climate change. The Sun is the source of the heat on the Earth, but it has not suddenly become more active recently. The Sun may be going into a phase of lower activity - but that will not reverse global warming. When the Sun's energy arrives at the Earth, it travels through the air. Some is reflected back to space, but some hits the Earth and warms it. The warm Earth gives off infrared radiation with various wavelengths. Some of those waves can pass back out of the air to space, but some are absorbed by certain gases in the air. The gases then re-emit the energy into the air. If there are more of those gases, less heat escapes into space, so the Earth warms. 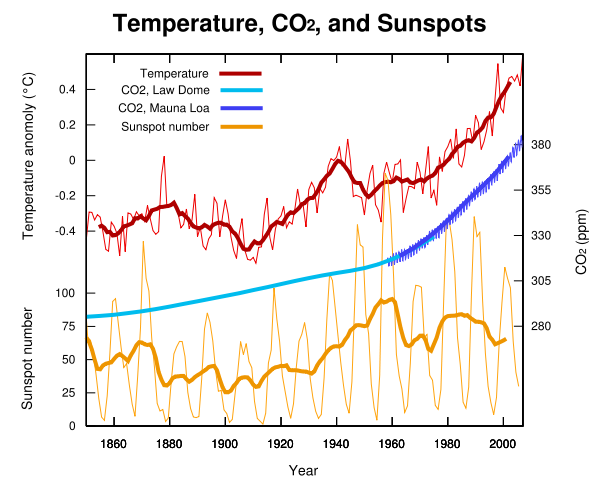 In the graph below, from the Stanford Solar Center, carbon dioxide data comes from the Law Dome ice core in Antarctica, and from the observatory on Mauna Loa in Hawaii. The Earth has warmed, even though there has been no corresponding rise in any kind of solar activity. There is no doubt why the Earth is warming. A new study says that even if the Sun's activity did drop off for a while, it wouldn't have much impact on rising global temperatures. "....any change in global mean temperature due to a future prolonged solar minimum would do little to substantially offset or delay the warming due to projected increases in long-lived greenhouse gases." 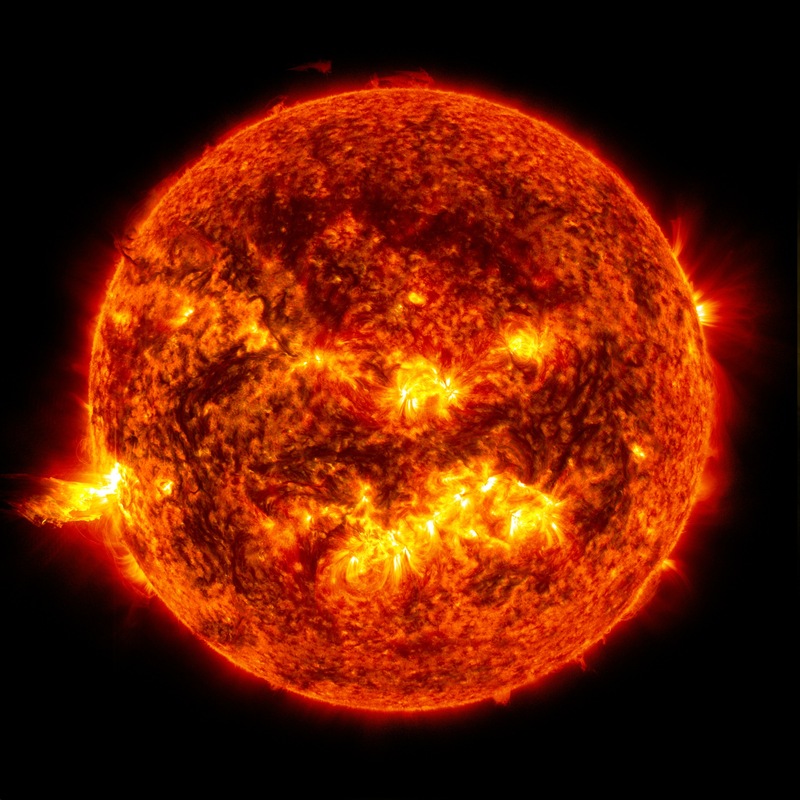 The idea that global temperature over the last few centuries is connected to solar activity has been disproved by astronomers. There is now too much carbon dioxide in the air for there to be a repeat of the 'Little Ice Age'. In fact, it is very likely that human activity has finally broken the cycle of glacial and interglacial stages.